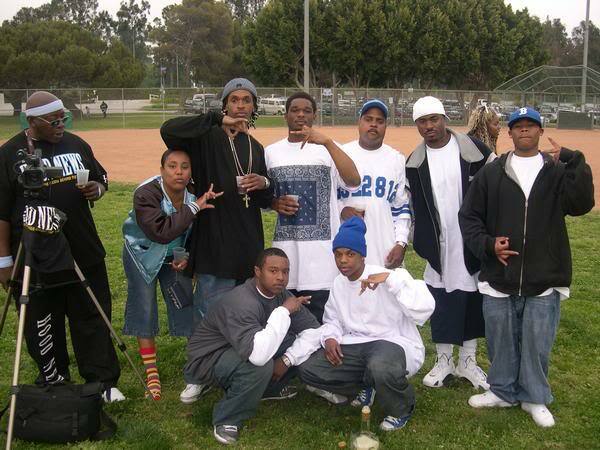 The 6-Pacc East Coast Crips consist of three African-American subsets of the notorious East Coast Crips, who originated on the East Side of South Los Angeles, California. Their neighborhood stretches from Avalon Blvd to the 110 Freeway (Harbor Fwy), between 60th Street to 69th Street. The 6 Pacc East Coast Crips, are made up of the 62 East Coast Crips and the 66 East Coast Crips as well as the 68 East Coast Crips and the 69 East Coast Crips. The 6 Pacc East Coast Crips are allies of all East Coast Crips, and the Neighborhood Crips as well as gangs under the Deuce (2X) card. They are rivals of the Mad Swan Bloods, 92 Bebop Watts Bishop Bloods and all Hoover Criminals Gang.They mainly feud with and gangs under the Gangster Crips (3X), such as the Eight Tray Gangster Crips and the Avalon Gangster Crips as well as the Broadway Gangster Crips. The 6-Pacc East Coast Crips are engaged in a bitter feud with the Florencia 13, one of the largest Hispanic gangs in South Los Angeles. This feud stem from a 1990s incident, allegedly the East Coast Crips robbed the Florencia-13, of a large quantity of narcotics. This beef between the two gangs, has contributed to racial tension between Black and Hispanic gangs in South Los Angeles.